Miranda July, scarily accomplished artist, movie maker and now novelist. In twenty years time she’ll probably be running for President or brokering world peace or something. More info at her website. A lonely forty-something’s world is turned upside down when her bosses’ delinquent daughter spreads her grubby sleeping bag on the couch for what appears to be an indefinite stay. I hated the title of this book until I read far enough to get the reference and decided I could not improve on it. Fight Club but found it lacked a female perspective. Cheryl: lonely and distinctly odd manager of an LA nonprofit which produces self-defense videos. Clee: teenage daughter of Cheryl’s bosses. Blonde, buxom and barely domesticated. Actresses will fight for these parts. I’m going to nominate Julianne Moore for Cheryl because I’d love to see her play dowdy. As for Clee, I’m going to go with Michelle Williams, who showed us the right feral qualities in her role in Blue Valentine. My one visit to LA gave me blisters and a new appreciation for cities in which it is possible to walk from one place to another in less than two days. That said, Los Feliz, the district in which Cheryl lives, houses this person, so naturally I want to move there so I can become his neighbor and mock him mercilessly over our mutual garden fence. 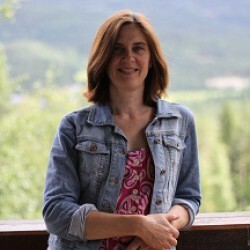 This short passage taken from one of Cheryl’s therapy sessions illustrates July’s wry gifts. I pictured lying on the floor with Ruth-Anne’s groin against the top of my head. 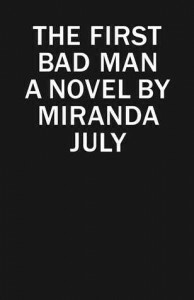 It’s not everyone who gets a blurb from Lena Dunham for her debut novel, and I have no doubt at all that The First Bad Man signals the beginning of what will be a long and illustrious writing career for July. She’ll probably produce and direct the movie version too. And play all the parts. And win an Oscar or several. In fact, they’ll likely invent a special Oscar just for her. The Oscar of Awesomeness dedicated to Miranda July. It’s perfect and if you don’t love it as much as I do we can no longer be friends. But that sounded a little intimidating, so how about this: if you are not a woman and want to know what being one is like, or if you are a woman and want to have someone dig into the weirdness and valour you secretly carry in your core, this is the book you should read. OK, this might sound like a big claim to make about a book whose main character suffers from globus hystericus and deals with the problem of housework by only having one plate, but trust me, this eccentric female is not the tragic, broken, hyper-sensitive archetype we are familiar with from The Bell Jar or The Lonely Passion of Judith Hearne. This is the eccentric female as glorious triumphant, wielding the banner of being herself, no matter what.